I couldn’t imagine there was ever a time my father didn’t know how to dance—wasn’t he born with that skill? I could just imagine the girls enveloped in the aura of his fluid, confident motions. 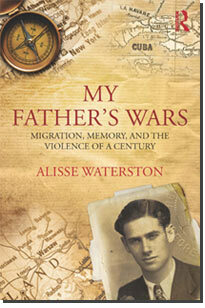 MW = Michael Waterston, AW = Alisse Waterston, author.